One of the major components of medical education is training individuals in various skills related to health care. Training directly on patients has its challenges due to limited opportunities, concerns for patient safety and reluctance of patients. Clinical Skills Laboratory provides a stress-free environment for learning and honing skills under direct supervision. 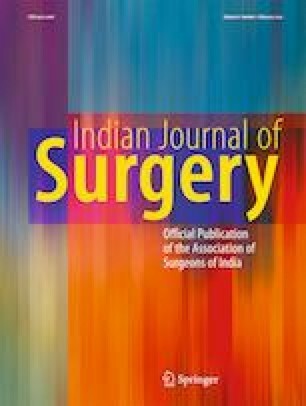 Surgery is predominantly a craft-based branch of medicine and undergraduate medical students have very little exposure to it. With an objective of improving basic surgical skills and improving the competency, a short-term training programme in the form of a workshop was planned, executed in a dedicated Clinical Skills Laboratory for interns posted in the surgical branches. The core areas of training were basic surgical skills required in day-to-day practice in the surgical specialties. Five broad categories of skills, gowning and gloving, instrument handling, knot tying, suturing techniques and universal precautions, were dealt with demonstration and hands-on practice sessions. A total of 14 skills lab training sessions over a period of 3 years from February 2014–March 2017 were conducted where a total of 264 interns participated. Analysis of the feedback showed 62.87% of the participants felt that the content was excellent, 63.63% opined that the presentations were excellent, 76.13% appreciated the demonstration and 60.6% were satisfied with the time allotted for practice sessions. This short-term training in basic surgical skills in a controlled environment helped in improving the interns’ skills and confidence. Implementation of basic surgical skills training provided a complementary experience that facilitates the shortening of the learning curve and enhances the ability of the new doctors to perform various procedures. This model of training in skills laboratories could be inculcated in the curriculum as practical training for effective delivery of health care.